You may purchase this book on Amazon.com by clicking here. 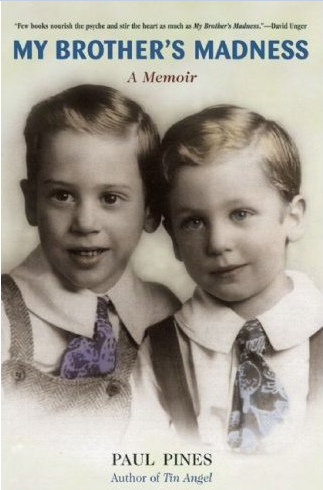 “Few books nourish the psyche and stir the heart as much as My Brother’s Madness.”-David Unger, author of Life in the Damn TropicsMy Brother’s Madness is based on the author’s relationship with his brother-who had a psychotic breakdown in his late forties-and explores the unfolding of two intertwined lives and the nature of delusion. Circumstances lead one brother from juvenile crime on the streets of Brooklyn to war-torn Vietnam, to a fast-track life as a Hollywood publicist and to owning and operating The Tin Palace, one of New York’s most legendary jazz clubs, while his brother falls into, and fights his way back from, a delusional psychosis. You may purchase My Brother’s Madness on Amazon.com by clicking here. “It is 1967. Kevin has just graduated from high school in the university town of Laketon, New York. People dressed in red are after him and his truck starts laughing at him. Then the Satan bugs arrive. Even these events don’t stop him from falling in love. 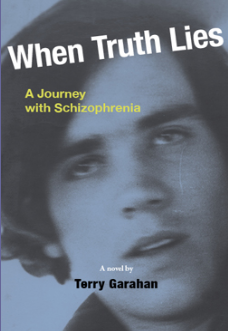 Kevin’s journey with schizophrenia takes him through some of America’s most turbulent and exciting times, from anti-war rallies and communes to cross-country road trips and Woodstock. In state hospitals and homeless in New York City, Kevin has the experiences that define a generation of the mentally ill. Kevin is a hero, fighting demons that inhabit his world-a world that is unknown to the rest of us. His family joins him, overwhelmed and misunderstood by the professionals that are supposed to help them. Have you ever seen a mentally ill man on the street talking to himself and wondered what he is thinking, what he is like, what is his story? You will know after reading this book. You may purchase When Truth Lies by clicking here. Ten percent of book sale profits will be sent to National Alliance on Mental Illness. You may also purchase When Truth Lies on Amazon.com by clicking here. 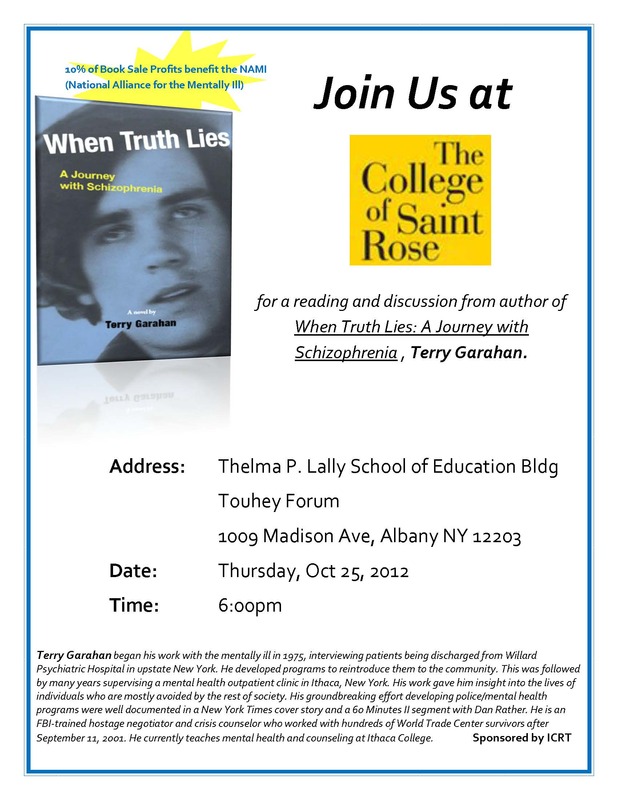 You may visit Terry Garahan’s blog by clicking here.